Take a virtual tour of our hotel! 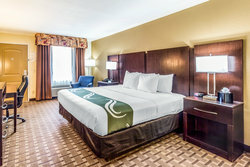 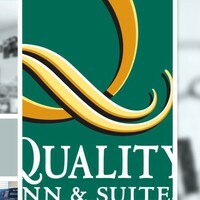 Quality Inn Abilene is an award-winning hotel in Abilene, TX, and one of the top-ranked Quality Inns in the United States. Our level of service, pristine hotel rooms, delicious breakfast, and commitment to excellence make us stand out. Our 49 guest rooms each feature comfortable king or queen beds, with a premium mattress, high-end linens, and a variety of plush pillows. Relax and unwind in a room designed for your comfort, close to everything in Abilene. 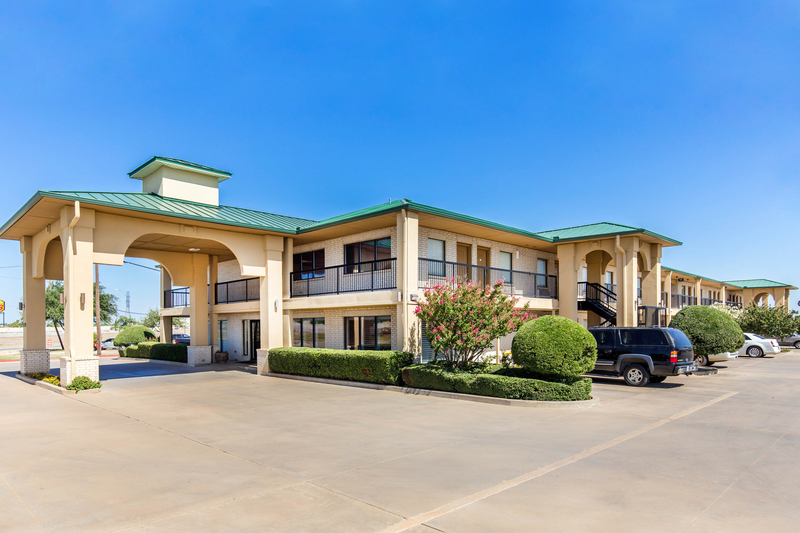 We are located just off I-20, with convenient access to a long list of things to do in Abilene, as well as the area's many universities, attractions, and activities. Book a stay at Quality Inn Abilene today! 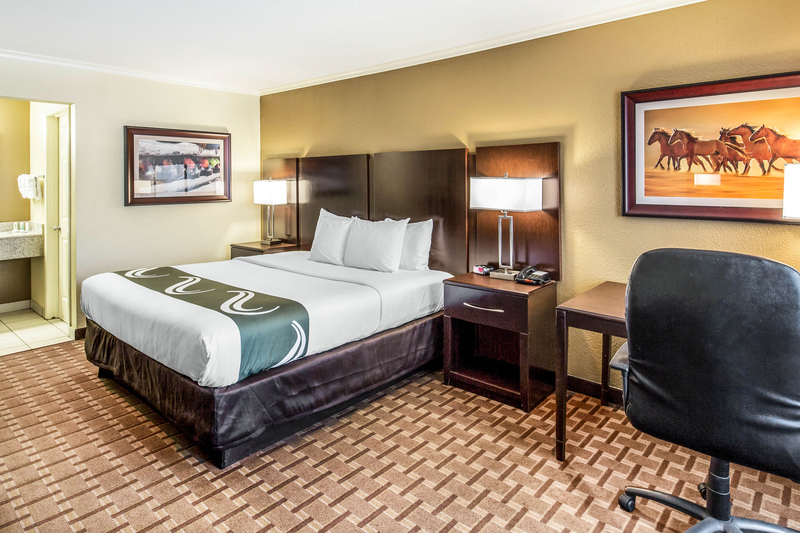 Use one of our exclusive Choice hotel deals to get even more value out of the best hotel in Abilene, Texas. 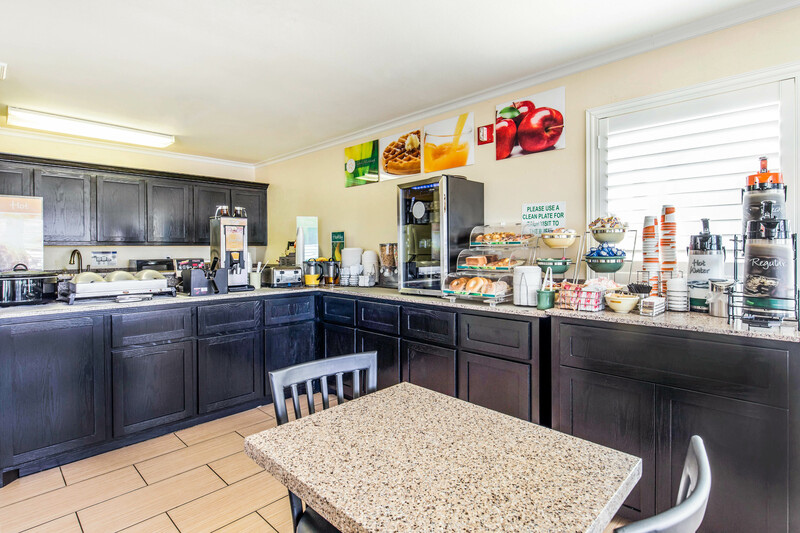 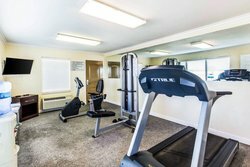 In addition to our hotel’s amenities and our rooms, we also something truly essential: a prime location, close to town, dining options and more. 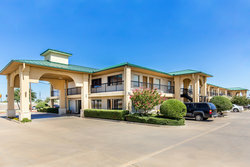 Our hotel in Abilene, Texas is close to the intersection of I-20 and Highway 351, just northeast of downtown Abilene. 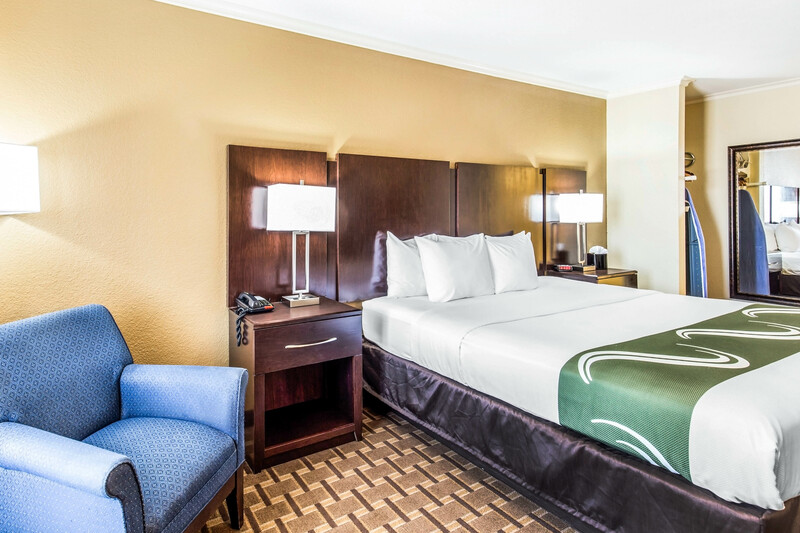 Rest easy throughout your stay in Abilene in our hotel rooms and suites that have all the premium features you need for an excellent night’s sleep. 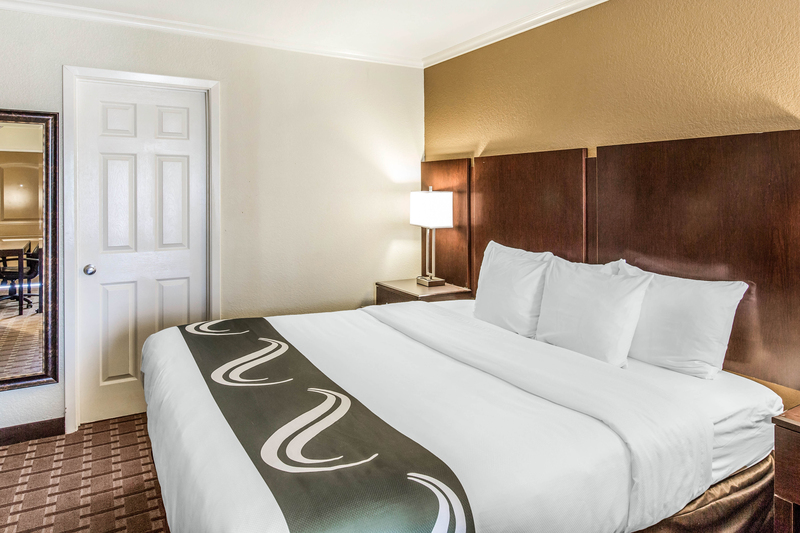 Rest your head on plush pillows on a plush mattress with high-quality linens. 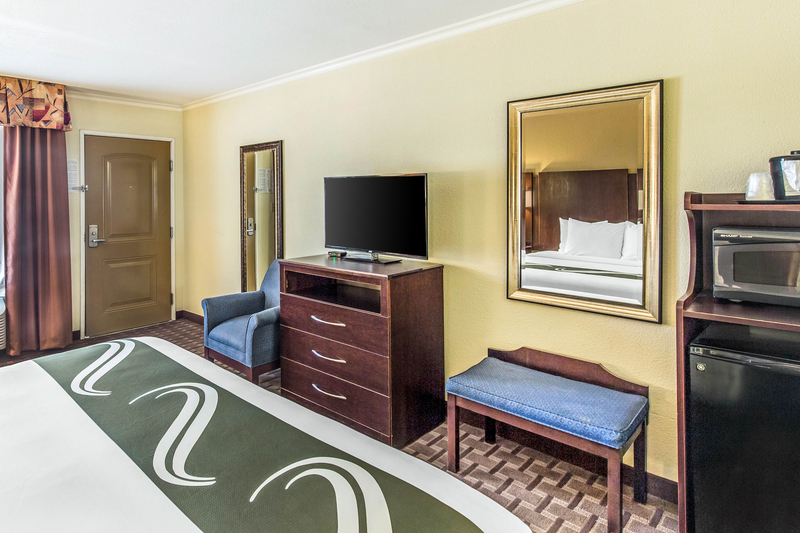 Stay with us and enjoy exclusive entertainment features like a large TV and a tablet in your room. 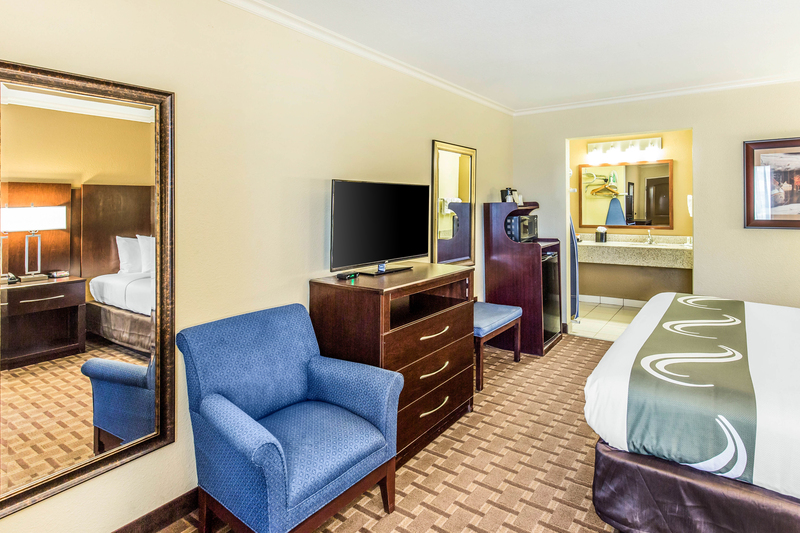 Easily check your e-mail, surf the web, play games, or just watch a movie, all from the comfort of your room. Watch your room’s large flat-screen TV, or use the in-room tablet. 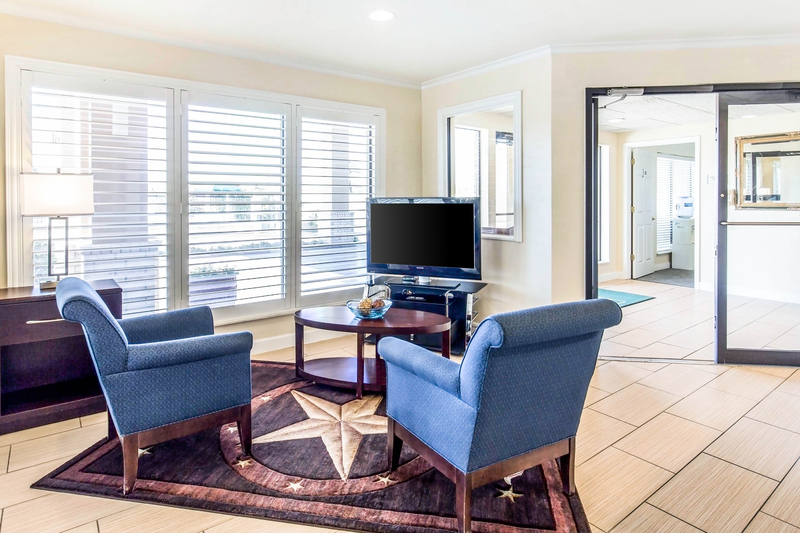 Your tablet has Internet access, so you can browse the web, watch movies and TV, play games, and more. 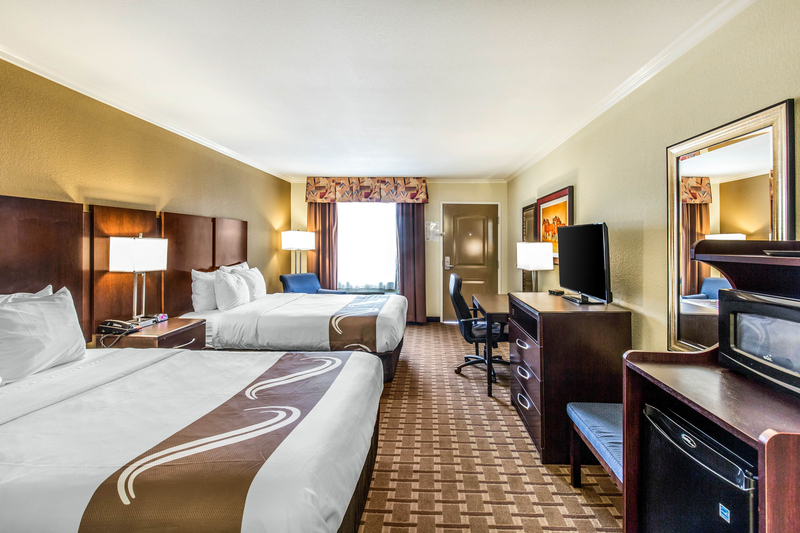 Use our exclusive discounts and order from one of the restaurants nearby, and if you have any leftovers, your room’s mini-fridge is the perfect place to store a snack. 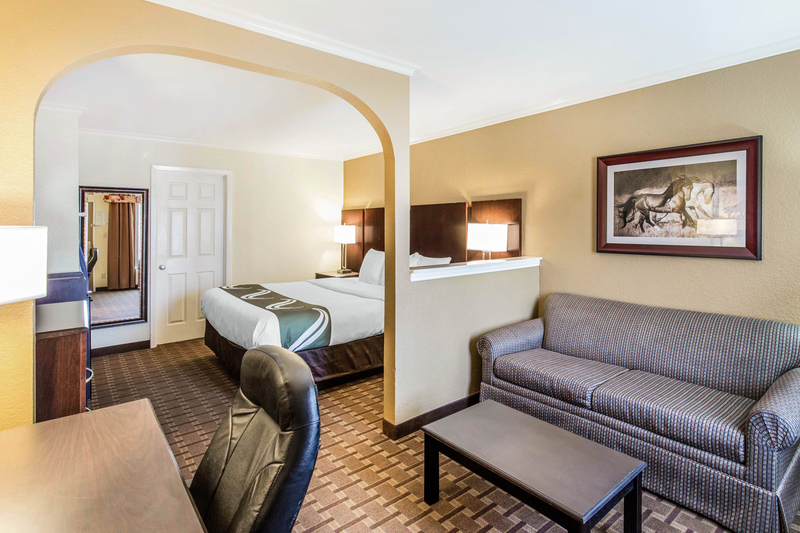 Swipe your key pass and step into an Abilene Texas hotel room with all the big feature and small details you need in your home away from home. Our rooms include a comfortable, large mattress with a variety of plush and fluffy pillows. 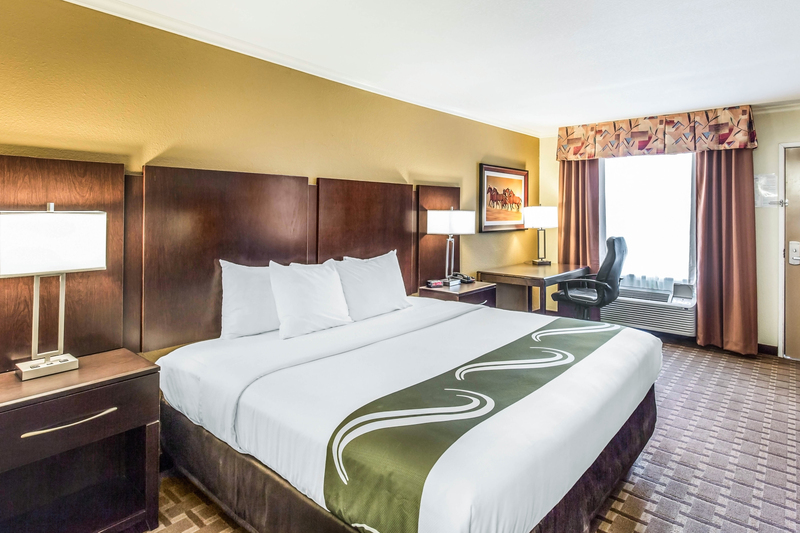 Rest your head and wake up to a wide range of ways to keep entertained and stay connected. 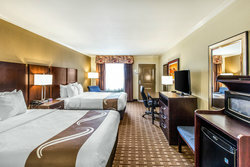 If you’re traveling with a group, we have spacious rooms with two queen beds, or a King Suite with pull-out sofa sleeper. 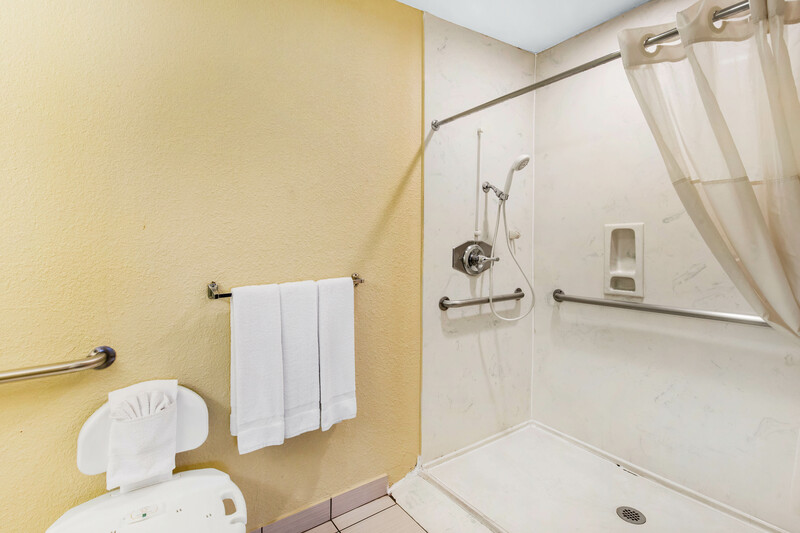 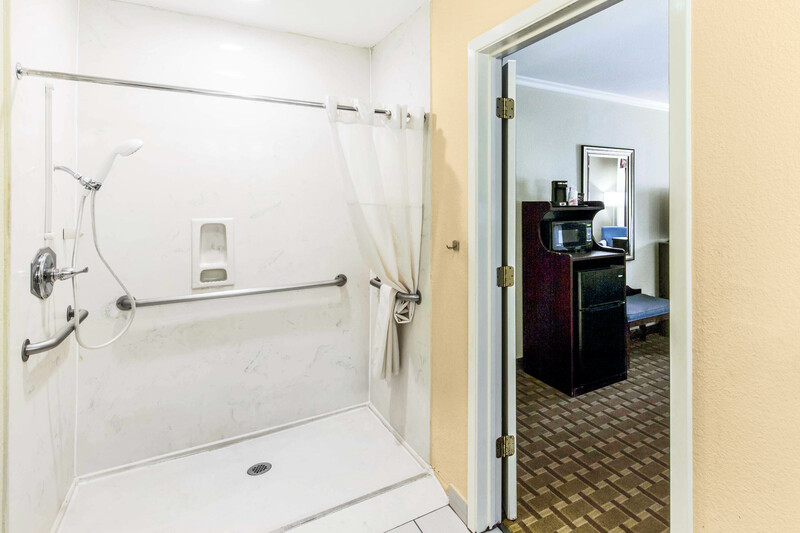 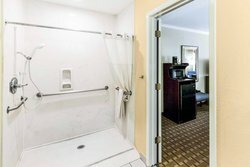 We also have ADA-compliant accessible rooms, with a washroom that features a roll-in shower. 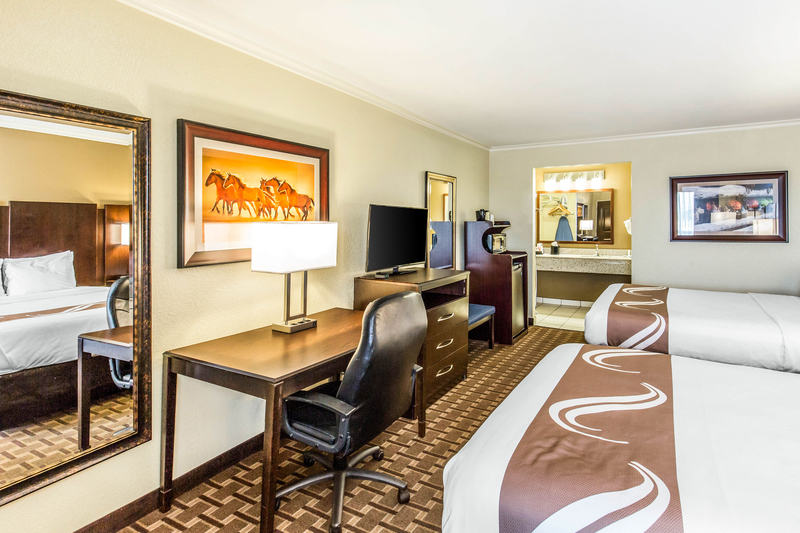 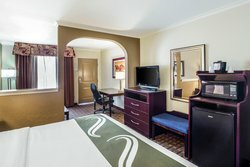 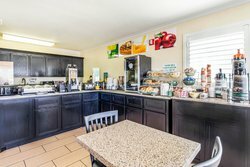 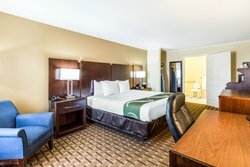 For our pristine rooms and high-quality service, Quality Inn Abilene has been consistently recognized as one of the top Quality Inns in the country, and the top Choice hotel in the area. 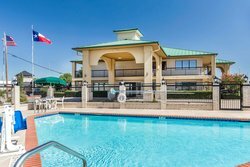 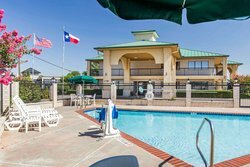 Dive into our hotel in Abilene Texas with an outdoor pool, with lots of outdoor space so you can enjoy the beautiful outdoors and Texas sunshine. 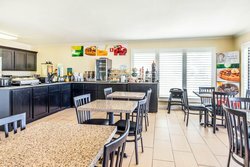 We have two BBQ pits surrounded by patio furniture, perfect for grilling up dinner. 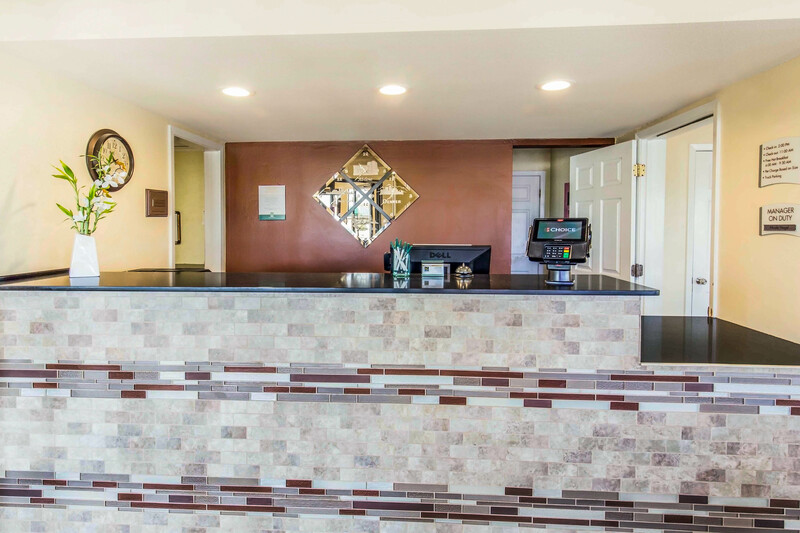 Our amenities and features make our hotel stand out from the rest. 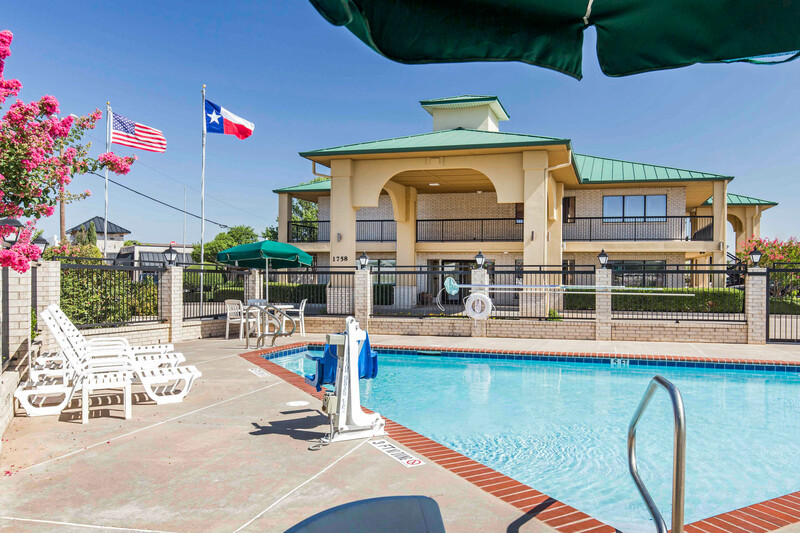 As a hotel in Abilene, TX with an outdoor pool, we offer more than just a space to cool down. Our outdoor landscaped area includes a dual BBQ pit and patio furniture. 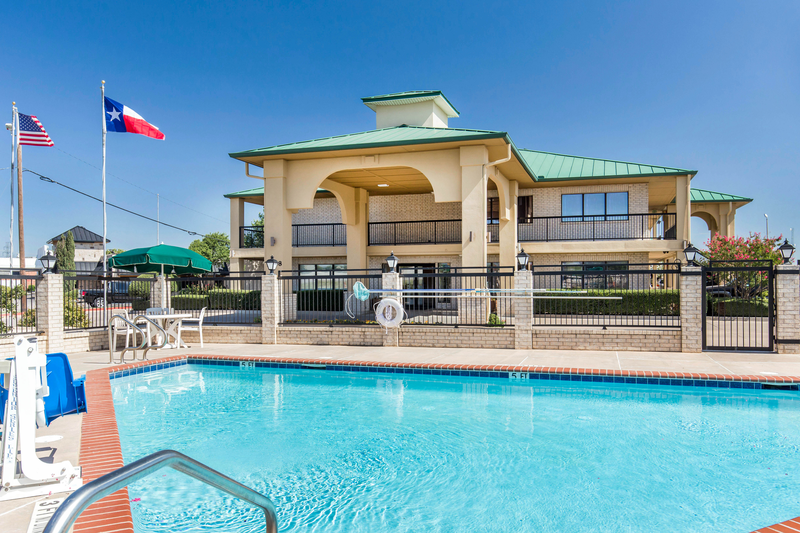 Grill up your own dinner and enjoy it outside. 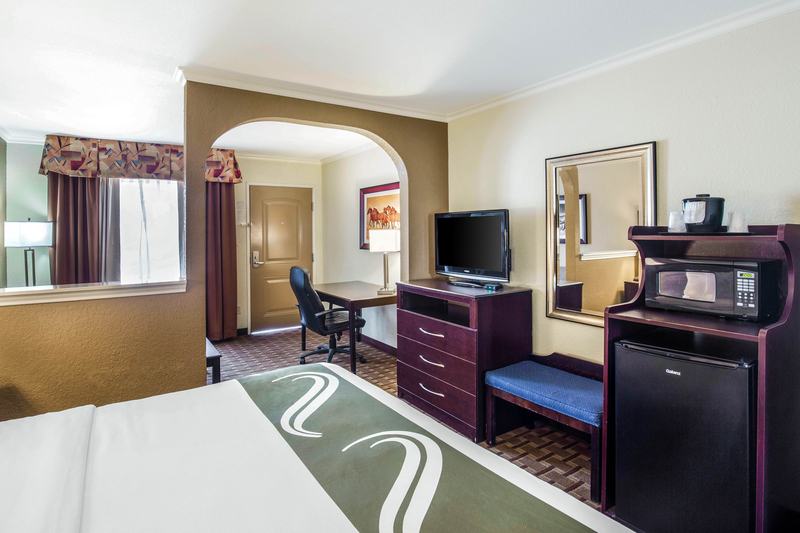 The BBQ is perfect for extended stay guests: enjoy any leftovers with your hotel room’s mini-fridge and microwave. 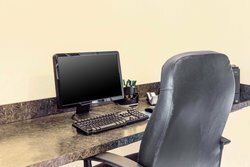 Our business center off the lobby is perfect for any last-minute computer needs you may have on the road. 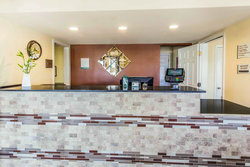 Connect to the office on the computer, or print off any documents at the front desk. We are the perfect place to stay for value-conscious groups, with spacious hotel rooms that provide all the quiet privacy and comfort you need for a peaceful rest. 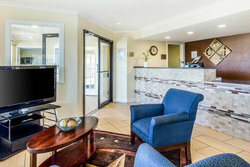 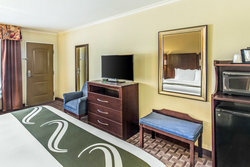 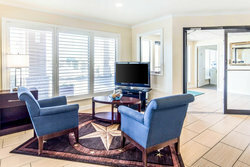 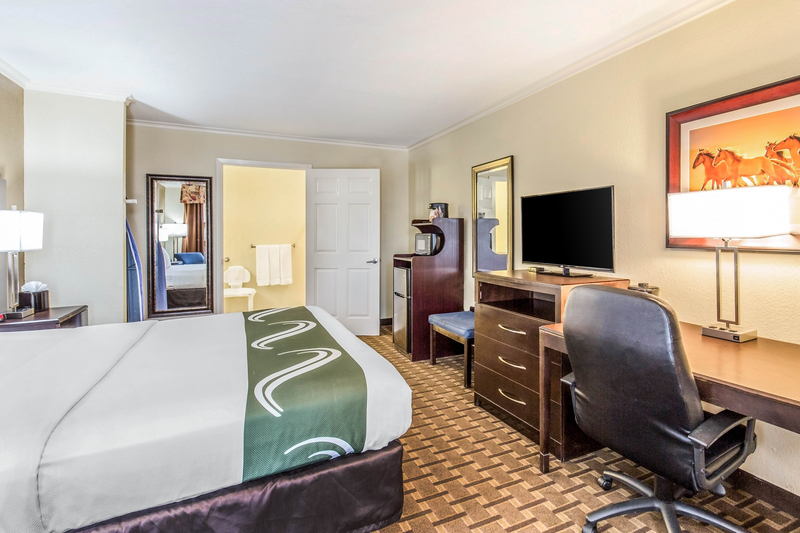 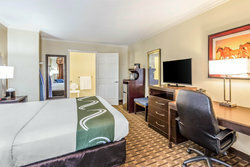 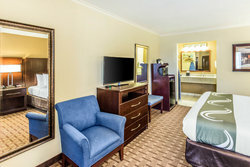 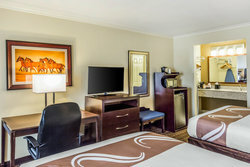 Stay entertained and connected with our high-speed Internet, flat-screen TVs and premium channels, and tablets in each room.